Aguilar A., Bearzi G., Birkun A. Jr., Canadas A., Donovan G., Frantzis A., Notarbartolo di Sciara G., Reeves R.R. 2005. Proposal for a block Red List assessment of cetaceans in the ACCOBAMS Area. 3rd Meeting of the ACCOBAMS Scientific Committee. Cairo, Egypt, 15-17 May, 2005. 3 pp. Bearzi G. 2000. First report of a common dolphin (Delphinus delphis) death following penetration of a biopsy dart. Journal of Cetacean Research and Management 2(3):217-221. Bearzi G. 2001. What threatens coastal dolphin populations in the Mediterranean Sea? Insight from interdisciplinary research in key areas. Proceedings of Pew Fellows Program in Marine Conservation Annual meeting. 10 pp. White Point, Nova Scotia, Canada, 30 May - 2 June 2000. Bearzi G. 2002. Interactions between cetaceans and fisheries: Mediterranean Sea. Pp. 78-97 in G. Notarbartolo di Sciara, ed. Cetaceans in the Mediterranean and Black Seas: State of Knowledge and conservation strategies. ACCOBAMS, Monaco. Bearzi G. 2003. Delfini costieri del Mediterraneo: le possibili ragioni di un declino. Proceedings of the 4th Italian Teriological Conference. Riccione, Italy, 6-8 November 2003. Bearzi G. 2003. At home with the dolphins. Pp. 104-109 in T. Frohoff and B. Peterson, eds. Between Species: Celebrating the Dolphin-Human Bond. Sierra Club Books, San Francisco. Bearzi G. 2003. Towards a Conservation Plan for common bottlenose dolphins in the Mediterranean Sea. Document presented at the 2nd Meeting of the ACCOBAMS Scientific Committee. Istanbul, Turkey, 20-22 November, 2003. 20 pp. Bearzi G. 2004. Mediterranean Coastal Dolphins (3 min 34 sec). A short video on the decline of coastal dolphins in the Mediterranean Sea. Produced by WDCS and OceanCare. Language: English. Bearzi G. 2005. A strategy for the conservation of common bottlenose dolphins Tursiops truncatus in the Mediterranean Sea. 3rd Meeting of the ACCOBAMS Scientific Committee. Cairo, Egypt, 15-17 May, 2005. 8 pp. Bearzi G. 2005. Assessing and mitigating the impact of prey depletion on cetaceans: can we find a way forward? 3rd Meeting of the ACCOBAMS Scientific Committee. Cairo, Egypt, 15-17 May, 2005. 3 pp. Bearzi G. 2005. Conservation Plan for short-beaked common dolphins in the Mediterranean Sea. Fins 1(2):7-8. Bearzi G. 2006. Endangered Mediterranean common dolphins: the story so far. Paper submitted to the 58th Annual Meeting of the International Whaling Commission, St. Kitts and Nevis, West Indies, 23 May – 20 June 2006. 3 pp. Bearzi G. 2006. Priority actions for the conservation of short-beaked common dolphins in the Mediterranean Sea. 4th Meeting of the ACCOBAMS Scientific Committee. Monaco, 5-8 November 2006. 9 pp. Bearzi G. 2006. Short-beaked common dolphin Delphinus delphis (Mediterranean subpopulation). 2003 Assessment. Pp. 130-136 in Reeves R.R., Notarbartolo di Sciara G. (compilers and editors). The status and distribution of cetaceans in the Black Sea and Mediterranean Sea. IUCN Centre for Mediterranean Cooperation, Malaga, Spain. Bearzi G. 2007. Marine conservation on paper. Conservation Biology 21(1):1-3. Bearzi G. 2007. Science-based management of Mediterranean coastal dolphins. Pew Fellows Program in Marine Conservation Annual Meeting. Morro Bay, California, 30 November - 4 December 2007. Bearzi G. 2007. The endangered Mediterranean common dolphins: is there anyone interested in their conservation? 3rd Meeting of the Parties to the Agreement on the Conservation of Cetaceans of the Black Sea, Mediterranean Sea and Contiguous Atlantic Area (ACCOBAMS), Dubrovnik, Croatia, 22-25 October, 2007. 3 pp. Bearzi G. 2009. Delfini e pesca: interazioni trofiche e depredazione in aree marine costiere del Mediterraneo. In: Proceedings of the workshop "Pesca e gestione delle Aree Marine Protette" (P. Guidetti., ed. ), Porto Cesareo, 30 - 31 October 2008: 7-13. Bearzi G. 2011. Common dolphins becoming rare—no action taken. Public Service Review: European Union 21:659. Bearzi G., Costa M. 2005. Population status of common bottlenose dolphins (Tursiops truncatus) in the central Mediterranean: insight from studies in the northern Adriatic and eastern Ionian Seas. Workshop "How can science best inform managers: the role of field studies in the conservation management of European bottlenose dolphin populations", 19th Annual Conference of the European Cetacean Society. La Rochelle, France, 7 April 2005. Bearzi G., Fortuna C.M. 2006. Common bottlenose dolphin Tursiops truncatus (Mediterranean subpopulation). Pp. 64-73 in Reeves R.R., Notarbartolo di Sciara G. (compilers and editors). The status and distribution of cetaceans in the Black Sea and Mediterranean Sea. IUCN Centre for Mediterranean Cooperation, Malaga, Spain. Bearzi G., Fortuna C.M., Reeves R.R. 2008. Ecology and conservation of common bottlenose dolphins Tursiops truncatus in the Mediterranean Sea. Mammal Review 39(2):92-123. Bearzi G., Fortuna C.M., Reeves R.R. 2010. Common bottlenose dolphin Tursiops truncatus (Mediterranean subpopulation). IUCN Red List of Threatened Species, Updated regional assessment - Mediterranean Sea. IUCN Centre for Mediterranean Cooperation, Malaga, Spain. Bearzi G., Mussi B., Politi E., Notarbartolo di Sciara G. 2002. Short-beaked common dolphins around Ischia, Italy, and Kalamos, Greece: relict population units of primary conservation importance in the Mediterranean Sea. European Research on Cetaceans 16. Bearzi G., Notarbartolo di Sciara G. 2003. Cetacean prey depletion in the ACCOBAMS Area. Document presented at the 2nd Meeting of the ACCOBAMS Scientific Committee. Istanbul, Turkey, 20-22 November, 2003. 7 pp. Bearzi G., Notarbartolo di Sciara G., Reeves R.R., Canadas A., Frantzis A. 2004. Conservation Plan for short-beaked common dolphins in the Mediterranean Sea. ACCOBAMS, Agreement on the Conservation of Cetaceans of the Black Sea, Mediterranean Sea and Contiguous Atlantic Area. 90 pp. Bearzi G., Reeves R.R. 2003. Where did the Mediterranean's common dolphin go? WDCS Magazine 28:16-17. Bearzi G., Reeves R.R. 2005. Where did the Mediterranean’s common dolphin go? Ecologia Mediterranea 30(2):243-244. Bearzi G., Reeves R.R., Notarbartolo di Sciara G., Politi E., Canadas A., Frantzis A., Mussi B. 2003. Ecology, status and conservation of short-beaked common dolphins (Delphinus delphis) in the Mediterranean Sea. Mammal Review 33(3):224-252. Bearzi G., Reeves R.R., Remonato E., Pierantonio N., Airoldi S. 2011. Risso’s dolphin Grampus griseus in the Mediterranean Sea. Mammalian Biology 76:385-400. Bearzi G., Simmonds M., Lüber S. 2010. Disappearing dolphins: does conservation action stand a chance of becoming common practice? Abstract for special event organised during the 4th Meeting of the Parties to the Agreement on the Conservation of Cetaceans of the Black Sea, Mediterranean Sea and Contiguous Atlantic Area (ACCOBAMS), Monaco, 9-12 November 2010. 1 p.
Bearzi G., Stergiou K.I. 2004. Investigating shifts in the Mediterranean ecosystem: the case of short-beaked common dolphins and striped dolphins. P. 17 (box) in F. Briand, ed. CIESM Workshop Monographs 25. Investigating the roles of cetaceans in marine ecosystems. Cañadas A., Aguilar de Soto N., Aissi M., Arcangeli A., Azzolin M., B-Nagy A., Bearzi G., Campana I., Chicote C., Cotte C., Crosti R., David L., Di Natale A., Fortuna C., Frantzis A., Garcia P., Gazo M., Gutierrez-Xarxa R., Holcer D., Laran S., Lauriano G., Lewis T., Moulins A., Mussi B., Notarbartolo di Sciara G., Panigada S., Pastor X., Politi E., Pulcini M., Raga J.A., Rendell L., Rosso M., Tepsich P., Tomás J., Tringali M., Roger T. 2018. The challenge of habitat modelling for threatened low density species using heterogeneous data: the case of Cuvier’s beaked whales in the Mediterranean. Ecological Indicators 85:128–136. Cañadas A., Aissi M., Arcangelli A., Azzolin M., B-Nagy A.,Bearzi G., Campano I., Chicote C., Cotte C., Crosti R., Di Natale A., Fortuna C., Frantzis A., Gannier A., Garcia P., Gazo M., Gutierrez-Xarxa R., Holcer D., Laran S., Lauriano G., Lewis T., Moulins A., Mussi B., Panigada S., Pastor X., Politi E., Pulcini M., Raga J.A., Rendell L., Tomás J., Tringali M. 2016. ACCOBAMS collaborative effort to map high-use areas by beaked whales in the Mediterranean. Report to the Agreement on the Conservation of Cetaceans in the Black Sea Mediterranean Sea and Contiguous Atlantic Area. 44 pp. Fossi M.C., Marsili L., Neri G., Bearzi G., Notarbartolo di Sciara G. 2001. Are the Mediterranean cetaceans exposed to the toxicological risk of endocrine disrupters? European Research on Cetaceans 15:338. Fossi M.C., Marsili L., Neri G., Casini S., Bearzi G., Politi E., Zanardelli M., Panigada S. 1999. Use of Mediterranean cetaceans skin biopsies in the investigation of interspecies susceptibility to xenobiotic contaminants. PRIMO 10, Williamsburg, VA, 25-29 April 1999. Fossi M.C., Marsili L., Neri G., Casini S., Bearzi G., Politi E., Zanardelli M., Panigada S. 2000. Skin biopsy of Mediterranean cetaceans for the investigation of interspecies susceptibility to xenobiotic contaminants. Marine Environmental Research 50:517-521. Genov T., Bearzi G., Bonizzoni S., Tempesta M. 2011. Long-distance (1000+ km) movement by a short-beaked common dolphin in the central Mediterranean Sea. Proceedings of the 22nd Annual Conference of the European Cetacean Society. Cádiz, Spain, 21-23 March 2011. Jahoda M., Azzellino A., Lafortuna C.L., Notarbartolo Di Sciara G., Almirante C., Borsani J.F., D'Amico A., Panigada S., Zanardelli M., Bearzi G. 2001. Passive tracking and timing of respiration as a methodology to determine reactions of Mediterranean fin whales in response to different sources of possible disturbance. European Research on Cetaceans 15:355-357. Marsili L., Fossi M.C., Neri G., Airoldi S., Bearzi G., Panigada S. 2000. Skin biopsies for cell cultures from Mediterranean free-ranging cetaceans. European Research on Cetaceans 14:231-233. Marsili L., Fossi M.C., Neri G., Casini S., Bearzi G., Airoldi S., Panigada S. 1999. Colture cellulari di fibroblasti da biopsie cutanee di cetacei de Mar Mediterraneo. IV National Meeting on Cetaceans, Milano, Italy, 11-12 November 1999. Marsili L., Fossi M.C., Neri G., Casini S., Bearzi G., Politi E., Zanardelli M., Panigada S. 1999. Skin biopsies for cell cultures from Mediterranean free-ranging cetaceans. PRIMO 10, Williamsburg, VA, 25-29 April 1999. Marsili L., Fossi M.C., Neri G., Gardi C., Palmeri S., Tarquini E., Panigada S., Zanardelli M., Politi E., Bearzi G. 1999. Skin biopsies for cell cultures from free-ranging cetaceans of the Mediterranean Sea. 9th Annual Meeting of SETAC-Europe. Leipzig, Germany, 25-29 May 1999. Miragliuolo A., Mussi B., Bearzi G. 2002. Observations of driftnetting off the island of Ischia, Italy, with indirect evidence of dolphin bycatch. European Research on Cetaceans 16. Miragliuolo A., Mussi B., Bearzi G. 2001. Risso's dolphin harassment by pleasure boaters off the island of Ischia, central Mediterranean Sea. European Research on Cetaceans 15:168-171. Mussi B., Miragliuolo A., Bearzi G. 2002. Short-beaked common dolphins around the island of Ischia, Italy (southern Tyrrhenian Sea). European Research on Cetaceans 16. Notarbartolo di Sciara G., Aguilar A., Bearzi G., Birkun A., Frantzis A. 2002. Overview of known or presumed impact on the different species of cetaceans in the Mediterranean and Black Seas. Pp. 194-196 in G. Notarbartolo di Sciara, ed. Cetaceans in the Mediterranean and Black Seas: State of Knowledge and conservation strategies. ACCOBAMS, Monaco. Notarbartolo di Sciara G., Bearzi G. 2002. Cetacean direct killing and live capture in the Mediterranean Sea. Pp. 27-30 in G. Notarbartolo di Sciara, ed. Cetaceans in the Mediterranean and Black Seas: State of Knowledge and conservation strategies. ACCOBAMS, Monaco. Notarbartolo di Sciara G., Bearzi G., Canadas A., Frantzis A. 2004. High mortality of sperm whales in the north-western Mediterranean, 1971-2003. Paper submitted to the Scientific Committee of the International Whaling Commission (SC/56/BC10). Sorrento, Italy, 29 June -10 July 2004. 3 pp. Notarbartolo di Sciara G., Frantzis A., Bearzi G., Reeves R.R. 2006. Sperm whale Physeter macrocephalus (Mediterranean subpopulation). Pp. 48-56 in Reeves R.R., Notarbartolo di Sciara G. (compilers and editors). The status and distribution of cetaceans in the Black Sea and Mediterranean Sea. IUCN Centre for Mediterranean Cooperation, Malaga, Spain. Notarbartolo di Sciara G., Frantzis A., Bearzi G., Reeves R.R. 2010. Sperm whale Physeter macrocephalus (Mediterranean subpopulation). IUCN Red List of Threatened Species, Updated regional assessment - Mediterranean Sea. IUCN Centre for Mediterranean Cooperation, Malaga, Spain. Notarbartolo di Sciara G., Venturino M.C., Zanardelli M., Bearzi G., Borsani J.F., Cavalloni B. 1993. Cetaceans in the central Mediterranean Sea: distribution and sighting frequencies. Italian Journal of Zoology 60:131-138. Notarbartolo di Sciara G., Venturino M.C., Zanardelli M., Bearzi G., Borsani J.F., Cavalloni B., Cussino E., Jahoda M., Airoldi S. 1990. Distribution and relative abundance of cetaceans in the Central Mediterranean Sea. European Research on Cetaceans 4:41-43. Piroddi C., Bearzi G., Gonzalvo Villegas J., Christensen V. 2011. From common to rare: the case of the Mediterranean common dolphin. Biological Conservation 144(10):2490-24. Zanardelli M., Panigada S., Bearzi G. 2002. Short-beaked common dolphin and common bottlenose dolphin sightings along the Tunisian coasts and in the Sicily Channel. European Research on Cetaceans 16. Balenovic V., Bearzi G., Notarbartolo di Sciara G., Bonomi L., Zahtila E. 1992. The Cres-Losinj dolphin reserve. Proposal for the institution of a Marine reserve in the waters adjacent to the eastern coast of Cres and Losinj. Tethys Research Institute, Milan and CRM Rudjer Boskovic, Rovinj. Veli Losinj, July 1992. 14 pp. Barbieri G., Bearzi G. 2000. Behaviour of a solitary, "sociable" bottlenose dolphin in southern Italy. European Research on Cetaceans 14:107-109. Bearzi G. 1994. Dolphins of the Cres-Losinj Archipelago. An illustrated educational book for children. Published by the Tethys Research Institute and Europe Conservation in Croatian, Italian, German and French. 29 pp. Bearzi G. 1997. A "remnant" common dolphin observed in association with bottlenose dolphins in the Kvarneric (northern Adriatic Sea). European Research on Cetaceans 10:204. Bearzi G., Azzellino A., Politi E., Costa M., Bastianini M. 2008. Influence of seasonal forcing on habitat use by bottlenose dolphins Tursiops truncatus in the northern Adriatic Sea. Ocean Science Journal 43(4):175-182. Bearzi G., Bonizzoni S. 2018. Interazioni fra delfini e pesca in Adriatico settentrionale. Resoconto tecnico. Consulenza e supporto tecnico-logistico per Università degli Studi di Padova. 26 pp. Bearzi G., Bruno S., Politi E., Costa M., Gramolini R., Pierantonio N., Bastianini M. 2005. Distribuzione del tursiope in Adriatico settentrionale in rapporto alle caratteristiche geografiche e batimetriche del bacino: primi risultati. 36th Conference of the Italian Society for Marine Biology (SIBM), Trieste, Italy, 9-13 May 2005. Bearzi G., Costa M., Politi E., Agazzi S., Pierantonio N., Tonini D., Bastianini M. 2009. Cetacean records and encounter rates in the northern Adriatic Sea during the years 1988-2007. Annales, Series Historia Naturalis 19(2):145-150. Bearzi G., Ferretti S. 2000. Rare report of a bottlenose dolphin foraging in the Venice Lagoon, Italy. European Research on Cetaceans 14:110-114. Bearzi G., Fortuna C.M., Notarbartolo di Sciara G. 1998. Unusual sighting of a striped dolphin (Stenella coeruleoalba) in the Kvarneric, Northern Adriatic Sea. Natura Croatica 7(3):169-176. Bearzi G., Holcer D., Notarbartolo di Sciara G. 2004. The role of historical dolphin takes and habitat degradation in shaping the present status of northern Adriatic cetaceans. Aquatic Conservation: Marine and Freshwater Ecosystems 14:363-379. Bearzi G., Notarbartolo di Sciara G. 1995. A comparison of the present occurrence of bottlenose dolphins, Tursiops truncatus, and common dolphins, Delphinus delphis, in the Kvarneric (northern Adriatic Sea). Annales (Annals for Istrian and Mediterranean Studies) 7:61-68. Bearzi G., Notarbartolo di Sciara G. 1997. Bottlenose dolphins following bottom trawlers in the Kvarneric (northern Adriatic Sea). European Research on Cetaceans 11:202-204. Bearzi G., Notarbartolo di Sciara G., Bonomi L. 1992. Bottlenose dolphins off Croatia: a socio-ecologic study. European Research on Cetaceans 6:130-133. Bearzi G., Notarbartolo di Sciara G., Lauriano G. 1993. The Cres-Losinj Dolphin Reserve: Proposal for the institution of a marine reserve in the waters adjacent to the east coast of Cres and Losinj. Tethys Research Institute Report TRI/ADP 93-01. 18 pp. Bearzi G., Notarbartolo di Sciara G., Politi E. 1997. Social ecology of bottlenose dolphins in the Kvarneric (northern Adriatic Sea). Marine Mammal Science 13(4):650-668. Bearzi G., Notarbartolo di Sciara G., Politi E., Lauriano G. 1993. Social ecology and behavior of bottlenose dolphins in the waters adjacent to the island of Losinj (Croatia). 10th Biennial Conference on the Biology of Marine Mammals, Galveston, Texas, 12-15 November 1993. Bearzi G., Notarbartolo di Sciara G., Politi E., Lauriano G. 1994. Ecology and behaviour of bottlenose dolphins (Tursiops truncatus) near the islands of Losinj and Cres (Croatia). Pp. 399-400 in the Proceedings of the Fifth Congress of Croatian Biologists, Pula, Croatia, 3-7 October 1994. Bearzi G., Pierantonio N., Affronte M., Holcer D., Maio N., Notarbartolo di Sciara G. 2011. Overview of sperm whale Physeter macrocephalus mortality events in the Adriatic Sea, 1555–2009. Mammal Review 41(4):276–293. Bearzi G., Politi E., Azzellino A., Costa M., Bastianini M. 2007. Delfini dell’Adriatico settentrionale: dati storici e presenza attuale. Conference “L’Alto Adriatico: il mare unisce i paesi che separa”, 12-13 April 2007, Venice, Italy. Bearzi G., Politi E., Azzellino A., Costa M., Pierantonio N., Bastianini M. 2006. Distribuzione del tursiope in rapporto alle caratteristiche del bacino. Workshop intermedio progetto INTERREG III Italia-Slovenia per l’Adriatico Settentrionale. 31 gennaio 2006. ISMAR Venezia. Bearzi G., Politi E., Costa M., Azzellino A., Bastianini M. 2006. Dolphins in the northern Adriatic Sea: historical data and present occurrence. Conference “Cetaceans, sea turtles and sharks of the Adriatic Sea”, 26– 28 October 2006, Cattolica, Italy. Bearzi G., Politi E., Fortuna C.M., Mel L., Notarbartolo di Sciara G. 2000. An overview of cetacean sighting data from the northern Adriatic Sea: 1987-1999. European Research on Cetaceans 14:356-361. Bearzi G., Politi E., Notarbartolo di Sciara G. 1996. Photoidentification-based short-term tracking of bottlenose dolphins resident in the Kvarneric (northern Adriatic Sea). European Research on Cetaceans 9:132-138. Bearzi G., Politi E., Notarbartolo di Sciara G. 1997. Il comportamento diurno del tursiope nel Quarnerolo (Adriatico Settentrionale). III National Meeting on Cetaceans, Napoli, Italy, 5-6 December 1997. Bearzi G., Politi E., Notarbartolo di Sciara G. 1999. Apparent lack of seasonal patterns in the behaviour of bottlenose dolphins in the Kvarneric (northern Adriatic Sea). European Research on Cetaceans 12:202. Bearzi G., Politi E., Notarbartolo di Sciara G. 1999. Diurnal behavior of free-ranging bottlenose dolphins in the Kvarneric (northern Adriatic Sea). Marine Mammal Science 15(4):1065-1097. Begoña Santos M., Zuur A.F., Bearzi G., Saveliev A., Smeenk C., Pierce G.J. 2011. Long-term trends in strandings of sperm whales in the North and Adriatic Seas. 19th Biennial Conference on the Biology of Marine Mammal, Tampa, FL, 26 November—2 December 2011. Fortuna C.M., Bearzi G., Delfino G. 1997. Surfacing pattern of bottlenose dolphins following bottom trawlers in the Kvarneric (northern Adriatic Sea). European Research on Cetaceans 10:244. Fortuna C.M., Bearzi G., Notarbartolo di Sciara G. 1997. Analisi dei modelli respiratori di tursiopi (Tursiops truncatus, Montagu, 1821) in Adriatico settentrionale. III National Meeting on Cetaceans, Napoli, Italy, 5-6 December 1997. Fortuna C.M., Bearzi G., Notarbartolo di Sciara G. 1999. Analysis of respiration patterns of bottlenose dolphins observed in the Kvarneric (northern Adriatic Sea, Croatia). European Research on Cetaceans 12:151-155. Genov T., Bearzi G. 2012. Dolphins of Slovenia: marine mammals at the end of the Adriatic Sea. Digital photo book. 54 pp. Genov T., Bearzi G., Bonizzoni S., Tempesta M. 2012. Long-distance movement of a lone short-beaked common dolphin (Delphinus delphis) in the central Mediterranean Sea. Marine Biodiversity Records. doi:10.1017/S1755267211001163. Vol. 5; e9. Notarbartolo di Sciara G., Bearzi G. 1992. Cetaceans in the northern Adriatic Sea: past, present, and future. Rapports de la Commission Intérnationale de la Mer Méditerranée 33:303. Notarbartolo di Sciara G., Bearzi G. 1993. Cetaceans in the northern Adriatic Sea: past, present and future. Proceedings of the 4th Congress of Croatian Biologists. Croatian Biological Society, Zagreb. Pp. 86-87. Notarbartolo di Sciara G., Bearzi G., Bonomi L. 1991. Bottlenose dolphins off Croatia: Photoidentification and behavioral observations. 9th Biennial Conference on the Biology of Marine Mammals, Chicago, Illinois, 5-9 December 1991. Notarbartolo di Sciara G. Holcer D., Bearzi G. 1994. Past and present status of cetaceans in the northern and central Adriatic Sea. Proceedings of the 5th Congress of Croatian Biologists. Croatian Biological Society, Zagreb. Pp. 401-402. Oehen S., Bearzi G., Borsani J.F. 1997. Acoustic behaviour of free-ranging bottlenose dolphins in the Kvarneric (northern Adriatic Sea). European Research on Cetaceans 11:230. Peharda M., Bearzi G. 1993. Surfacing patterns of bottle-nosed dolphins in the Cres-Losinj area (Northern Adriatic Sea). European Research on Cetaceans 7:73-76. Pierce G., Santos M.B., Zuur A.F., Bearzi G., Saveliev A., Smeenk C. 2014. Long-term trends in strandings of sperm whales in the North and Adriatic Seas. Workshop "Marine Mammals as Indicators of Historical Changes", 28th Annual Conference of the European Cetacean Society. Liège, Belgium, 5–9 April 2014. Wilson B., Arnold H., Bearzi G., Fortuna C., Gaspar R., Ingram S., Liret C., Pribanic S., Read A.J., Ridoux V., Schneider K., Urian K.W., Wells R.S., Wood C., Thompson P.M., Hammond P.S. 1999. Epidermal lesions on bottlenose dolphins: a product of pollution or the natural environment? European Research on Cetaceans 12:123. Wilson B., Arnold H., Bearzi G., Fortuna C.M., Gaspar R., Ingram S., Liret C., Pribanic S., Read A.J., Ridoux V., Schneider K., Urian K.W., Wells R.S., Wood C., Thompson P.M., Hammond P.S. 1999. Epidermal diseases in bottlenose dolphins: Impacts of natural and anthropogenic factors. Proceedings Royal Society London B - Biological Sciences 266:1077-1083. Wilson B., Arnold H., Bearzi G., Fortuna C., Gaspar R., Liret C., Pribanic S., Read A.J., Ridoux V., Urian K.W., Wells R.S., Wood C., Thompson P.M., Hammond P.S. 1997. A comparison of epidermal disease in eight populations of bottlenose dolphins. European Research on Cetaceans 11:268. Wilson B., Pribanic S., Fortuna C.M., Bearzi G. 1997. Epidermal lesions on free-ranging bottlenose dolphins in the Kvarneric. European Research on Cetaceans 11:269. Bearzi G., Bonizzoni S. 2013. Artisanal fisheries in the Gulf of Corinth, Greece. Digital photo book. 114 pp. Bearzi G., Bonizzoni S. 2013. Fisheries in the Gulf of Corinth, Greece. Internal Report. Dolphin Biology and Conservation and OceanCare. 41 pp. Bearzi G., Bonizzoni S., Gonzalvo J. 2011. Mid-distance movements of common bottlenose dolphins in the coastal waters of Greece. Journal of Ethology 29(2):369-374. Bearzi G., Bonizzoni S., Santostasi N.L., Eddy L. 2017. I cetacei del Golfo di Corinto, Grecia. Pp. 59-61 in S. Mellea and F. Ricciardelli (eds. ), Capodogli e delfini dei nostri mari: criticità e strategie di protezione. Fondazione Marittima Ammiraglio Michelagnoli, Taranto. Bearzi G., Bonizzoni S., Santostasi N.L., Eddy L., Gimenez O. 2016. Short-beaked common dolphins in the Gulf of Corinth are Critically Endangered. Proceedings of the 1st International Workshop "Conservation and research networking on short-beaked common dolphin (Delphinus delphis) in the Mediterranean Sea". Ischia Island, Italy, 13-15 April 2016, p. 42. Bearzi G., Bonizzoni S., Santostasi N.L., Furey N.B., Eddy L., Valavanis V.D., Gimenez O. 2016. Dolphins in a scaled-down Mediterranean: the Gulf of Corinth's odontocetes. Pp. 297-331 in Mediterranean Marine Mammal Ecology and Conservation (G. Notarbartolo di Sciara, M. Podestà and B.E. Curry, eds). Advances in Marine Biology, Vol. 75, Academic Press, Oxford. Bearzi G., Casale P., Margaritoulis D., Bonizzoni S., Santostasi N.L. 2015. Observation of a leatherback sea turtle Dermochelys coriacea in the Gulf of Corinth, Greece. Marine Turtle Newsletter 146:6-9. Bonizzoni S., Bearzi G. 2012. Conservation status of short-beaked common dolphins in the Gulf of Corinth, Greece. 12th International Congress on the Zoogeography and Ecology of Greece and Adjacent Regions (ICZEGAR), Athens, Greece 18-22 June 2012. Bonizzoni S., Bearzi G., Santostasi N.L., Furey N.B., Valavanis V.D., Würsig B. 2016. Dolphin depredation of bottom-set fishing nets in the Gulf of Corinth, Mediterranean Sea. Proceedings of the 30th Annual Conference of the European Cetacean Society, Funchal, Madeira, 14-16 March 2016. Bonizzoni S., Furey N.B., Santostasi N.L., Eddy L., Valavanis V.D., Bearzi G. In press. Modelling dolphin distribution within an Important Marine Mammal Area in Greece to support spatial management planning. Aquatic Conservation: Marine and Freshwater Ecosystems. Bonizzoni S., Furey N.B., Valavanis V.D.,Bearzi G. 2018. Predicting dolphin distribution within an Important Marine Mammal Area (IMMA) in Greece to support spatial management planning. Proceedings of the 32nd Annual Conference of the European Cetacean Society. La Spezia, Italy, 6-10 April 2018. Pearson H.C., Bearzi G., Bonizzoni S., Santostasi N.L. 2014. Understanding the social organization of an apex marine predator to inform conservation practices: striped dolphins in the Gulf of Corinth, Greece. International Marine Conservation Congress, Glasgow, Scotland, 14-18 August 2014. Santostasi N.L., Bonizzoni S., Bearzi G. 2014. Striped dolphin abundance in the Gulf of Corinth, Greece: dataset simulations help improve sampling design. International Marine Conservation Congress, Glasgow, Scotland, 14-18 August 2014. Santostasi N.L., Bonizzoni S., Bearzi G. 2015. Optimizing abundance estimates of striped dolphins in the Gulf of Corinth, Greece. Proceedings of the 29th Annual Conference of the European Cetacean Society. St. Julians, Malta, 23-25 March 2015. Santostasi N.L., Bonizzoni S., Bearzi G., Eddy L., Gimenez O. 2016. Revised abundance estimates of striped and short-beaked common dolphins in the Gulf of Corinth, Mediterranean Sea. Proceedings of the 30th Annual Conference of the European Cetacean Society. Funchal, Madeira, 14-16 March 2016. Santostasi N.L., Bonizzoni S., Bearzi G., Eddy L., Gimenez O. 2016. A robust design capture-recapture analysis of abundance, survival and temporary emigration of three odontocete species in the Gulf of Corinth, Greece. PLoS ONE 11(12): e0166650. Bonizzoni S., Eddy L., Bearzi G. 2014. Dolphins and fisheries in the Southern Evoikos Gulf, Greece. Internal Report. Dolphin Biology and Conservation / OceanCare. 45 pp. Bonizzoni S., Eddy L., Würsig B., Bearzi G. 2015. Fish farm specialists: bottlenose dolphins in the Southern Evoikos Gulf, Greece. Proceedings of the 29th Annual Conference of the European Cetacean Society. St. Julians, Malta, 23-25 March 2015. Bearzi G., Bonizzoni S., Santostasi N.L. 2012. Interactions between dolphins and small-scale fisheries in the Argolikos Gulf, Greece. Final Report. Dolphin Biology & Conservation and OceanCare. 54 pp. Bearzi G., Bonizzoni S. 2011. Delfini e pesca nel Sinis. Marine Protected Area of Sinis Peninsula and Mal di Ventre Island, Italy. Digital photo book. 64 pp. Bearzi G., Bonizzoni S. 2011. Delfini e pesca nel Sinis. Prima fase dello studio sulle interazioni fra tursiopi e pesca costiera nell’Area Marina Protetta Penisola del Sinis - Isola di Mal di Ventre. Rapporto finale. 37 pp. Bearzi G., Bonizzoni S. 2010. Three monk seal encounters in the Northern Gulf of Evia, Greece. The Monachus Guardian 13(2):33-34. Bearzi G., Bonizzoni S. 2011. Dolphins of Evia: swimming angels between heaven and hell. Northern Gulf of Evia, Greece. Digital photo book. 80 pp. Bonizzoni S., Furey N., Pirotta E., Valavanis V.D., Würsig B., Bearzi G. 2013. Modelling interactions between fish farms and bottlenose dolphins in a Mediterranean embayment. Proceedings of the 27th Annual Conference of the European Cetacean Society. Setúbal, Portugal, 8–10 April 2013. Bonizzoni S., Furey N., Pirotta E., Valavanis V.D., Würsig B., Bearzi G. 2014. Fish farming and its appeal to common bottlenose dolphins: modelling habitat use in a Mediterranean embayment. Aquatic Conservation: Marine and Freshwater Ecosystems 24(5):696–711. Bonizzoni S., Santostasi N.L., Würsig B., Bearzi G. 2014. Bottlenose dolphin abundance in the Northern Evoikos Gulf, Greece. Proceedings of the 28th Annual Conference of the European Cetacean Society. Liege, Belgium, 5–9 April 2014. Bearzi G., Bonizzoni S. 2004. DolphinPeople (13 min 24 sec). A video featuring the work of three enthusiastic and dedicated researchers who study coastal dolphins in western Greece. The video highlights the importance of personal commitment to protect endangered marine mammal populations. Language: Italian, English subtitles. Bearzi G., Bonizzoni S., Gonzalvo J. 2011. Dolphins and coastal fisheries within a Marine Protected Area: mismatch between dolphin occurrence and reported depredation. Aquatic Conservation: Marine and Freshwater Ecosystems 21:261-267. Dimatteo S., Siniscalchi M., Bondanese P., Esposito L., Prunella V., Bearzi G., Quaranta A. 2011. Encounters with pelagic and continental slope cetacean species near the northern shore of the Gulf of Taranto, Italy. Italian Journal of Zoology 78(1):130–132. Bearzi G. 2017. Action Plan for Marine Mammals in Israel, 2017–2022. Israel Marine Mammal Research & Assistance Center (IMMRAC), Israel. 101 pp. Gonzalvo J., Bearzi G. 2008. Action Plan for the conservation of cetaceans in Syria. Regional Activity Centre for Specially Protected Areas. Contract 39/2007_RAC/SPA. 45 pp. Bearzi G., Pierantonio N., Bonizzoni S., Notarbartolo di Sciara G., Demma M. 2010. Perception of a cetacean mass stranding in Italy: the emergence of compassion. Aquatic Conservation: Marine and Freshwater Ecosystems 20:644-654. Pino d'Astore P., Bearzi G., Bonizzoni S. 2008. Cetacean strandings in the Province of Brindisi, Italy, southern Adriatic Sea. Annales, Series Historia Naturalis 18(1):29-38. Bearzi G. 2006. Action Plan for the conservation of cetaceans in Libya. Regional Activity Centre for Specially Protected Areas (RAC/SPA), Libya’s Environment General Authority and Marine Biology Research Center. 50 pp. Birkun A, Bearzi G., Glazov D., Goradze I., Komakhidze G., Krivokhizhin S., Shpak O. 2003. Towards a Conservation Plan for Black Sea cetaceans. Document presented at the 2nd Meeting of the ACCOBAMS Scientific Committee. Istanbul, Turkey, 20-22 November, 2003. 9 pp. Bruno S., Bearzi G. 2004. Cetacean research and conservation in Georgia: background information and suggested actions. A report to the ACCOBAMS Secretariat. ACCOBAMS, Agreement on the Conservation of Cetaceans of the Black Sea, Mediterranean Sea and Contiguous Atlantic Area. 22 pp. Bearzi G. 2004. Investigating food-web interactions between Mediterranean coastal dolphins and fisheries in "natural laboratories". Pp. 71-76 in F. Briand, ed. CIESM Workshop Monographs 25. Investigating the roles of cetaceans in marine ecosystems. Bearzi G. 2007. Science-based management of coastal dolphins in the eastern Ionian Sea. 8th Meeting of Focal Points for Specially Protected Areas (SPAs). Palermo, Italy, 6-9 June 2007. Bearzi G., Agazzi S., Bonizzoni S., Costa M. 2005. Ecosystem structure and dolphin-fisheries interactions in a “natural laboratory”: the Amvrakikos Gulf, Greece. Report to the Regional Activity Centre for Specially Protected Areas (RAC/SPA) on the activities conducted between July 2001 – November 2005 (MOU #17/RAC/SPA/2005). Tethys Research Institute. 23 pp. Bearzi G., Agazzi S., Bonizzoni S., Costa M., Azzellino A. 2008. Dolphins in a bottle: abundance, residency patterns and conservation of bottlenose dolphins Tursiops truncatus in the semi-closed eutrophic Amvrakikos Gulf, Greece. Aquatic Conservation: Marine and Freshwater Ecosystems 18(2):130-146. Bräger Z., Gonzalvo J., Agazzi S., Bearzi G. 2016. Identification of bottlenose dolphin (Tursiops truncatus) prey using fish scale analysis. Aquatic Mammals 42(1):63-73. Gonzalvo J., Bearzi G. 2010. Bottlenose dolphins in the Amvrakikos Gulf, Greece, qualify as Endangered based on IUCN Red List criteria. 4th Meeting of the ACCOBAMS Scientific Committee. Casablanca, 11-13 January 2010. Pereszlényi Z., Bearzi G., Agazzi S., Gonzalvo J. 2009. Feeding behaviour of common bottlenose dolphins (Tursiops truncatus) in the Amvrakikos Gulf, Greece. Poster presented at the 5th "Ecology & Behaviour" Meeting, Lyon, France, 6-10 April 2009. Bearzi G., Notarbartolo di Sciara G., Bonizzoni S. 2005. Scientific literature on Mediterranean cetaceans: the Italian contribution. In B. Cozzi, ed. Marine mammals of the Mediterranean Sea: natural history, biology, anatomy, pathology, parasitology. Massimo Valdina Editore, Milano. Mo G., Notarbartolo di Sciara G., Bearzi G., Cozzi B. 2001. Conservation policies from a regional to a national approach: the formulation of the Italian Action Plan for the conservation of cetaceans. European Research on Cetaceans 15:177. Notarbartolo di Sciara G., Bearzi G. 2005. Research on cetaceans in Italy. In B. Cozzi, ed. Marine mammals of the Mediterranean Sea: natural history, biology, anatomy, pathology, parasitology. Massimo Valdina Editore, Milano. Notarbartolo di Sciara G., Bearzi G., Mo G., Cozzi B., 2001. National Action Plan for the Conservation of Cetaceans in the Italian Seas: 2001-2003. Prepared for the Italian Ministry for the Environment. ICRAM, Rome. 161 pp. Agazzi S., Bearzi G., Costa M., Bonizzoni S., Politi E. 2008. Abundance trend of short-beaked common dolphins in the eastern Ionian Sea: one of the last central Mediterranean stocks is vanishing. Proceedings of the 22nd Annual Conference of the European Cetacean Society. Egmond aan Zee, The Netherlands, 10-12 March 2008. Agazzi S., Bearzi G., Politi E. 2001. Short-beaked common dolphin prey species in the eastern Ionian Sea: insight from fish scales sampled during surface foraging. European Research on Cetaceans 15:351-353. Bearzi G. 2006. Preliminary report on the impact of fishing on common dolphins in the area of Kalamos, Greece (eastern Ionian Sea). 4th Meeting of the ACCOBAMS Scientific Committee. Monaco, 5-8 November 2006. 12 pp. Bearzi G. 2009. Urgent call for the conservation of one of the last strongholds of the endangered Mediterranean common dolphin. 15 pp. Downloadable here. Bearzi G., Agazzi S., Gonzalvo J., Costa M., Bonizzoni S., Politi E., Piroddi C., Reeves R.R. 2008. Overfishing and the disappearance of short-beaked common dolphins from western Greece. Endangered Species Research 5:1-12. Bearzi G., Costa M., Photopoulos T. 2005. High human-related mortality of dolphins in the area of Kalamos, western Greece. A report to the Agreement on the Conservation of Cetaceans of the Black Sea, Mediterranean Sea and Contiguous Atlantic Area (ACCOBAMS). Tethys Research Institute, August 23rd, 2005. Bearzi G., Politi E., Agazzi S., Azzellino A. 2006. Prey depletion caused by overfishing and the decline of marine megafauna in eastern Ionian Sea coastal waters (central Mediterranean). Biological Conservation 127(4):373-382. Bearzi G., Politi E., Agazzi S., Bruno S., Costa M., Bonizzoni S. 2005. Occurrence and present status of coastal dolphins (Delphinus delphis and Tursiops truncatus) in the eastern Ionian Sea. Aquatic Conservation: Marine and Freshwater Ecosystems 15:243-257. Bearzi G., Politi E., Agazzi S., Bruno S., Costa M., Bonizzoni S., Gonzalvo J. 2005. The decline of short-beaked common dolphins Delphinus delphis in Eastern Ionian Sea coastal waters. P. 29 in K. Stockin, A. Vella and P.G.H. Evans. Proceedings of the Workshop “Common dolphins: current research, threats and issues”. European Cetacean Society Newsletter Special Issue 45. Bearzi G., Politi E., Agazzi S., Costa M., Bonizzoni S., Azzellino A., Bruno S., Gramolini R. 2005. Report on short-beaked common dolphin studies in the area of Kalamos, Greece, 1993-2004. ACCOBAMS, Agreement on the Conservation of Cetaceans of the Black Sea, Mediterranean Sea and Contiguous Atlantic Area. 100 pp. Bearzi G., Quondam F., Politi E. 2001. Bottlenose dolphins foraging alongside fish farm cages in eastern Ionian Sea coastal waters. European Research on Cetaceans 15:292-293. Bruno S., Politi E., Bearzi G. 2001. Social organisation of a common dolphin community in the eastern Ionian Sea: evidence of a fluid fission-fusion society. European Research on Cetaceans 15:49-51. Ferretti S., Bearzi G., Politi E. 1999. Comparing behaviour of inshore bottlenose and common dolphins in the eastern Ionian Sea through focal group surfacing pattern analysis. European Research on Cetaceans 12:209. Gonzalvo J., Bearzi G. 2010. Vanishing of short-beaked common dolphins from one of their last Mediterranean strongholds: the announced result of fisheries mismanagement. 4th Meeting of the ACCOBAMS Scientific Committee. Casablanca, 11-13 January 2010. Gonzalvo J., Bearzi G., Agazzi S., Piroddi C. 2008. Fisheries and the decline of short-beaked common dolphins in western Greece. Proceedings of the 22nd Annual Conference of the European Cetacean Society. Egmond aan Zee, The Netherlands, 10-12 March 2008. Gonzalvo J., Moutopoulos D.K., Bearzi G., Stergiou K.I. 2011. Fisheries mismanagement in a Natura 2000 area in western Greece. Fisheries Management and Ecology 18(1):25-38. Pesante G., Politi E., Bearzi G. 2003. 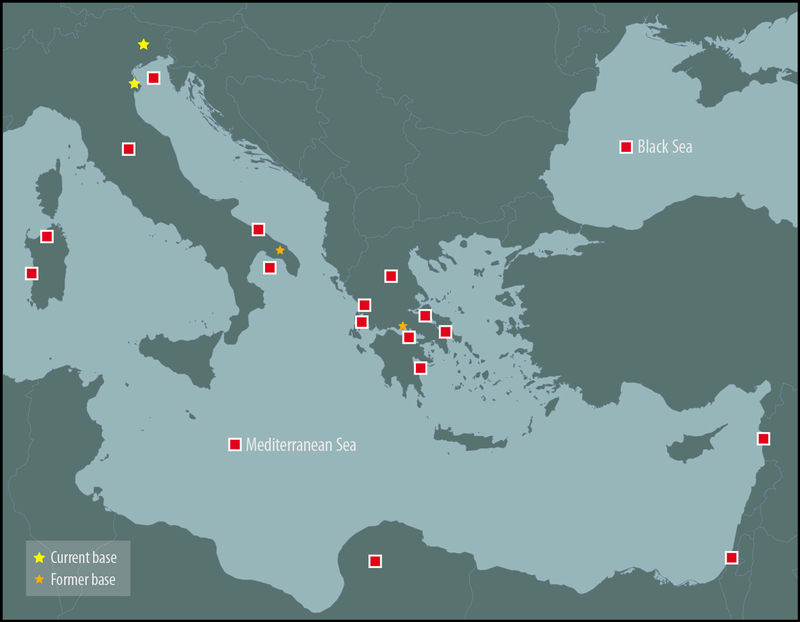 Opportunistic sightings of Mediterranean monk seals in the eastern Ionian Sea (1993-2002). European Research on Cetaceans 17. Piroddi C., Bearzi G., Christensen V. 2009. Effects of local fisheries and ocean productivity on the Northeastern Ionian Sea ecosystem. Pp. 39-40 in: Palomares M.L.D., Morissette L., Cisneros-Montemayor A., Varkey D., Coll M., Piroddi C. (eds. ), Ecopath 25 Years Conference Proceedings: Extended Abstracts. Fisheries Centre Research Reports 17(3). Fisheries Centre, University of British Columbia [ISSN 1198-6727]. Piroddi C., Bearzi G., Christensen V. 2010. Effects of local fisheries and ocean productivity on the northeastern Ionian Sea ecosystem. Ecological Modelling 221(11):1526-1544. Piroddi C., Bearzi G., Christensen V. 2011. Marine open cage aquaculture in the Eastern Mediterranean Sea: a new trophic resource for bottlenose dolphins. Marine Ecology Progress Series 440: 255–266. Politi E., Bearzi G. 2001. Evidence of decline for a coastal common dolphin community in the eastern Ionian Sea. European Research on Cetaceans 15:449-452. Politi E., Bearzi G., Airoldi S. 2000. Evidence for malnutrition in bottlenose dolphins photo-identified in the eastern Ionian Sea. European Research on Cetaceans 14:234-236. Politi E., Bearzi M., Notarbartolo di Sciara G., Cussino E., Gnone G. 1992. Distribution and frequency of cetaceans in the waters adjacent to the Greek Ionian Islands. European Research on Cetaceans 6:75-78. Bearzi G., Notarbartolo di Sciara G. 1992. Preliminary observations of bottlenose dolphins near the Island of Tavolara, Sardinia. European Research on Cetaceans 6:127-129. Politi E., Bearzi G., Pesante G., Barbieri G. 2002. Resoconto delle attività di ricerca sul comportamento e l’ecologia alimentare del tursiope (Tursiops truncatus) presso l’isola dell’Asinara. July 1999 – October 2001. Final report to ICRAM, Rome. 37 pp. Alves F., Towers J.R., Baird R.W., Bearzi G., Bonizzoni S., Ferreira R., Halicka Z., Alessandrini A., Kopelman A.H., Yzoard C., Rasmussen M.H., Bertulli C.G., Jourdain E., Gullan A., Rocha D., Hupman K., Mrusczok M.-T., Samarra F.I.P., Magalhães S., Weir C.R., Ford J.K.B., Dinis A. 2018. The incidence of bent dorsal fins in free-ranging cetaceans. Journal of Anatomy 232(2):263-269. Bearzi G., Bonizzoni S. 2011. Encounters among waves. Digital photo book. 26 pp. Bearzi G., Gimenez O. 2018. Searching for meaning in marine mammal shared data. Ethics in Science and Environmental Politics 18:9-13. Bearzi G., Kerem D., Furey N.B., Pitman R.L., Rendell L., Reeves R.R. 2018. Whale and dolphin behavioural responses to dead conspecifics. Zoology 128:1-15. Biondi J., Smultea M.A., Bacon C.E., Gailey G., Sychenko O., Würsig B., Bonizzoni S., Bearzi G. 2013. Longitudinal comparisons of digital photography of marine mammals from aircraft and shore. 20th Biennial Conference on the Biology of Marine Mammals, Dunedin, New Zealand, 9-13 December 2013. Da Silveira M., Bearzi G., Bonizzoni S., Piwetz S., Würsig B. 2014. Integration of Texas coastal bottlenose dolphin (Tursiops truncatus) photo-identifications spanning 24 years. Poster presentation, Southeast and Mid-Atlantic Marine Mammal Symposium (SEAMAMMS), Wilmington, NC, 28-30 March 2014. Hughes N., Piwetz S., Vaughn R., Würsig B. 2009. Predator-prey dynamics in Golfo San Jose, Argentina: Present day and 1970s data compared. Poster presentation at the Society for Marine Mammalogy 18th Biennial Conference, Québec City, QC, Canada. Piwetz S. 2010. Dusky dolphin (Lagenorhynchus obscurus) habitat use in Admiralty Bay, New Zealand. Oral presentation at the Society for Marine Mammalogy-Gulf Coast Student Research Symposium, Galveston, TX, USA. Piwetz S. 2010. Dusky dolphin (Lagenorhynchus obscurus) movement and foraging limitations in relation to shellfish aquaculture. Oral presentation at the Texas A&M University Graduate Program in Marine Biology Science Symposium, Galveston, TX, USA. Piwetz S. 2011. Behavioral response of Indo-Pacific humpback dolphins to anthropogenic disturbances off Lantau Island, Hong Kong. Oral presentation at the Texas A&M University Graduate Program in Marine Biology Science Symposium, Galveston, TX, USA. Piwetz S., Hung S., Wang J., Lundquist D., Würsig B. 2011. Vessel traffic and movement patterns of Indo-Pacific humpback dolphins (Sousa chinensis) off Lantau Island, Hong Kong. Poster presentation at the Society for Marine Mammalogy 19th Biennial Conference, Tampa, FL, USA. Piwetz S., Vaughn R., Hughes N., Würsig B. 2009. Dusky dolphin, Lagenorhynchus obscurus, habitat use off Argentina. Poster presentation at the Society for Marine Mammalogy 18th Biennial Conference, Québec City, QC, Canada. Piwetz S., Whitehead H.R., Godlove L., Cowan D.F. 2011. An underwater recording stethoscope based on a directional hydrophone for use in dolphin rehabilitation and diagnosis. Aquatic Mammals 37:2. Santostasi N.L., Bearzi G., Bonizzoni S., Bosquez J., Da Silveira M., Marcum E., Piwetz S., Würsig B. 2015. Building a historic Texas bottlenose dolphin photo-identification catalog. Southeast and Mid-Atlantic Marine Mammal Symposium (SEAMAMMS), Virginia Beach, VA, March 27-29, 2015. Schotten M., Würsig B., Orbach D., Sexton K., Piwetz S. 2013. Broadband acoustic/video recordings and localisations of dusky dolphins (Lagenorhynchus obscurus) and short-beaked common dolphins (Delphinus delphis) in New Zealand. Oral presentation at the 27th Conference of the European Cetacean Society, Setúbal, Portugal. Watts H.R., Piwetz S., Godlove L., Rosel P. 2006. Bottlenose dolphins (Tursiops truncatus) displaced by hurricane Rita in western Louisiana – their rescue and release. Poster presentation at the International Association for Aquatic Animal Medicine, Nassau, Bahamas. Watts H.R., Godlove L., Piwetz S., Cowan D.F. 2006. An underwater stethoscope based on a directional hydrophone, for use in dolphin rehabilitation and diagnosis. Poster presentation at the International Association for Aquatic Animal Medicine, Nassau, Bahamas.